There is something beautiful (and sometimes frustrating) about the rich variety of humanity. So many different personalities, interests, beliefs, values, and of course, temperaments. Some people live for parties, others couldn’t think of anything worse. Some people love sport, others can’t stand it. Some people are great entertaining a crowd and are completely socially inept in a one-on-one situation, while others are the opposite. The greatest source of unhappiness is being unable to like yourself. This creates alienation and fragmentation within. So often however, we are ill-equipped to understand why this happens and how to address it. For introverts and HSPs, we can feel like cars driving into the lake, upon which thousands of beautiful boats are bobbing. Beating ourselves up, cursing our equipment, and resenting the fact that we are rubbish boats. We cannot see the power of the equipment we possess because we are too busy wishing we were like other people. We might even try adapting the car, by comparing it to the beautiful boats. Cut off the roof, remove the wheels, and throw a mast and a sail on the top. 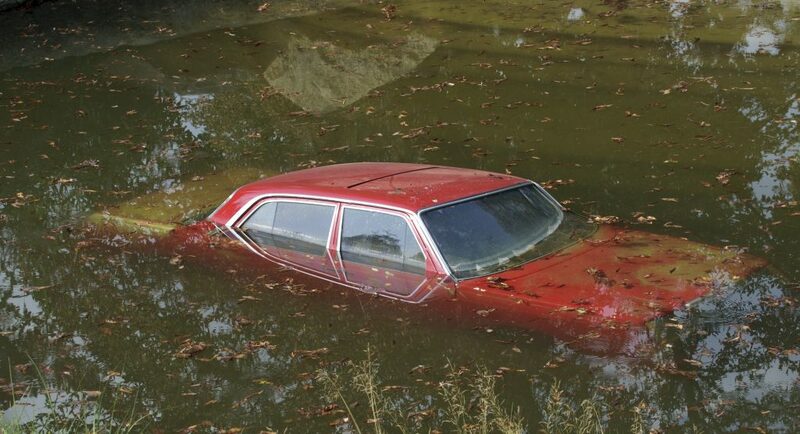 But alas, still the car sinks. If you spend your whole life believing that you are supposed to be a boat when you’re really a car, you’re going to feel like there’s something wrong with you. If every big moment is marked by a celebratory trip out on the water, and you’re left looking on from the shore, then you’re going to resent the fact that your only ability seems to be driving around the perimeter of the water. While you do this however, you have failed to see the country lane behind you. Until one day you catch sight of something remarkable in your rearview mirror. You see another boat that looks remarkably similar to yours, zooming along it, on wheels just like yours. Interesting. Suddenly, other cars begin to appear from around the lake. Some of them you’d never seen before because they were hiding. Some you assumed were just boats because they didn’t have wheels either, and also had no roof and a good looking mast and sail. Together, you begin to make your way to the road where you saw that other one travelling. You pick up some speed, you manoeuvre between trees, and onto the cold dark tarmac. This feels good. It feels natural. You find the confidence to jettison the makeshift sail. You glide with even more grace and finesse, the fresh breeze lapping at your face. It dawns on you. You’re in your element. This is what you were built for. I’ve been thinking a lot lately about how we undersell ourselves as gentle rebels when we keep an outward focus. By turning to recognising and building on our gifts and unique individual abilities, there is nothing stopping even the most introverted and sensitive among us thriving in remarkable ways.